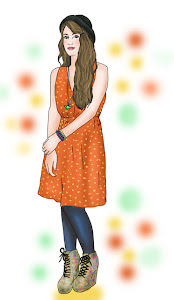 t*rexes and tiaras: That little pot of gold.. 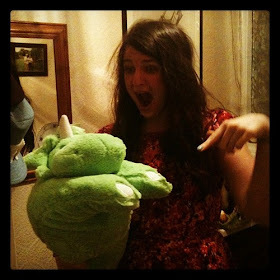 I still have so many photos from this year's travels, which I've totally failed to do anything with, thus far. But since we've spent a decent part of this weekend trying to decide on our next travel destination, I thought it was high time I downloaded them from the camera and shared away. 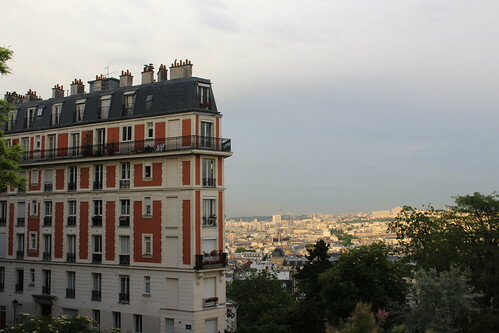 In Paris, we stayed in a little Air B+B apartment in the centre of Montmartre. which is the hill in Paris' 18th district. 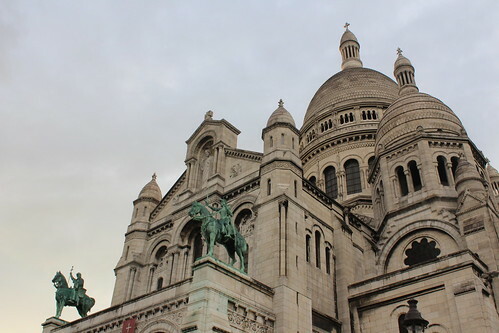 Having had no real desire to stay in any part of Paris in particular, I narrowed our search parameters to Montmartre because it's just got a lovely atmosphere; every time I've visited the city I've thought so. Known as the artists' district, there's plenty of evidence of that to be seen on the walls and we saw a lot of studios and gallery spaces whilst exploring. Another thing I love about Montmartre is that it's home to the Sacre-Coeur (which I'm sure anyone following our Instagram accounts is bored to death of seeing photos of) but that from it's steps, you get an amazing view over the city. 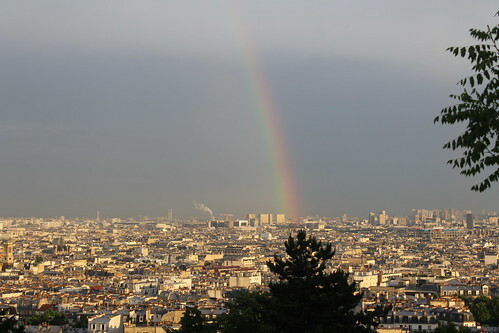 On our first evening in Paris, we explored a little just as it began to rain and as we got to the top of the stairs, saw the most incredible rainbow, which added to the magic. We ate our final night's evening meal in one of the restaurants in the open area of the main square - a tourist trap for sure, but one of those lovely things you totally have to experience. As an avid people-watcher, I thoroughly enjoyed seeing everyone going by. With so many tiny little side streets it took me quite a while before I finally started to get my bearings, but when I'd go out in the mornings I'd look for the Scare Coeur to make sure I was heading in the right direction home, since it's kinda hard to miss. 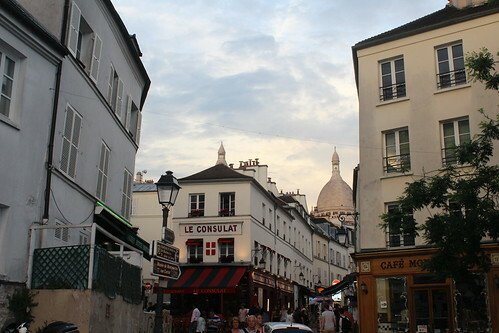 Montmartre's just gorgeous, isn't it? 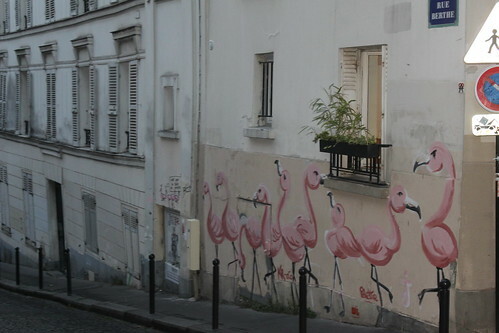 Last time we went to Paris, we stayed in Republique which is quite a cool, lively area near the canal. I can't wait to go back. Sacre Couer was my favourite part of Paris!